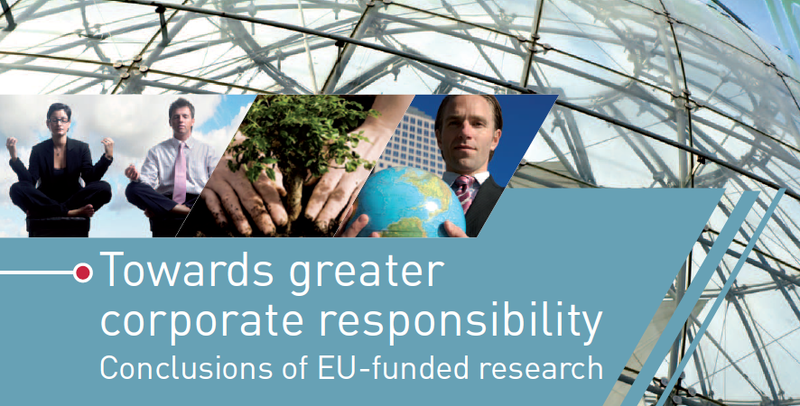 This publication examines the results of socio-economic research projects on Corporate Social Responsibility (CSR) funded under the European Union’s Sixth Framework Programme for Research and Technological Development. In this review, the research carried out is put in the context of developing the concept of Corporate Social Responsibility as well as the evolving European Union policy in this area. As the document analyses different aspects of the issue, from strategies through instruments to outcomes in a comprehensive way, identifying also knowledge gaps and possible future trends, it should provide informative reading to all parties interested in the topic. Research on the internal strategic processes and mainstreaming CSR in business processes, as well as research on the wider societal outcomes of CSR programmes, both require more research effort in the coming years. In addition, in the face of continuing globalisation, a more profound analysis of the implications of global supply chains on CSR, and the factors limiting uptake of CSR in developing countries and new EU Member States deserve more attention in European research.